First Look: Gamble House – "Gamble House"
Music’s a lot like food: it doesn’t matter where the chef got the recipe, so long as you enjoy the meal. 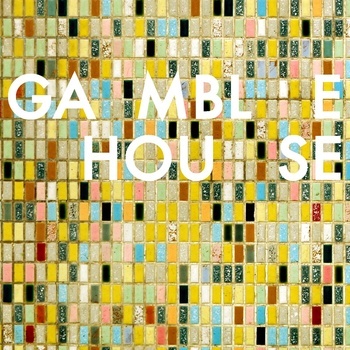 Gamble House’s self-titled debut is unavoidably an album hopelessly indebted to the music of Grizzly Bear, particularly singer Daniel Rossen, whose vocal timbre and chunky guitar style is imitated (or paid homage, take your pick) all over this collection. But to Gamble House’s credit, these are all really good Grizzly Bear-sounding songs, the economical-but-tasty Ralph’s brand breakfast cereal to Grizzly Bear’s Raisin Bran. On “On Guard,” the band layers electronic elements against a driving tempo and ghostly melodies, while “Only Days Away” drifts into banjo melancholy; the group makes a point of keeping things moving even through frequent segues, a choice (along with the nice inclusion of those dreamy bleeps and bloops) that keeps its evanescent sound from evaporating. It’s capable, often gorgeous stuff, enough to be worth your time — and, just maybe, enough to make Rossen and Co. a little nervous. Stream the album in full after the jump. It’s out now.